Stud welding is quicker and most cost-effective than other types of welding, which makes it a top choice for many manufacturing and construction companies. 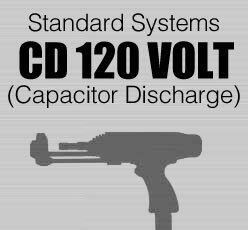 We offer a full range of stud welding equipment from small CD systems to large ARC systems at affordable prices. We carry stud welders from trusted names such as Truweld Stud Welding, Nelson Stud Welding, Proweld International, Midwest Fasteners and Image Industries.